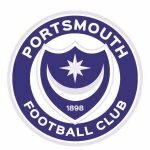 Can the year finally get up and running for Pompey? A return of two points since 2018 arrived is hardly ideal. However, rescuing a point against Doncaster last week, ending the game with only nine men, could be something of a turning point? A HUGE following is going to Milton Keynes with Pompey, but will they, like the Blues, return disappointed? League One, much the same as League Two really, which surprises me as I didn’t think it would be the case, is one where literally anyone can beat anyone, so despite the fact MK Dons are struggling near the bottom it doesn’t mean Pompey can simply turn up and return with the points, in fact anything. In all honesty though, this surely has to be a game we can target for the points and feel a shortish home journey can be an enjoyable one with a first win of the New Year secured – I’ll follow my heart this time and say that’ll be the case for Pompey. Originally posted in the forum.